Leaseholds or Outright Ownership – the facts. As you may have seen in the news, in July the UK government announced radical new proposals to cut out unfair abuses of leaseholds in a major move to deliver a fairer, more transparent system for homebuyers in England and Wales. Communities Secretary Sajid Javid proposed that leaseholds on new-build houses would be outlawed, while ground rents could be dramatically reduced, as he seeks to end “long-term” financial abuse by developers. But what does this really mean for buyers and sellers, and importantly, will the ban have an impact in Scotland? 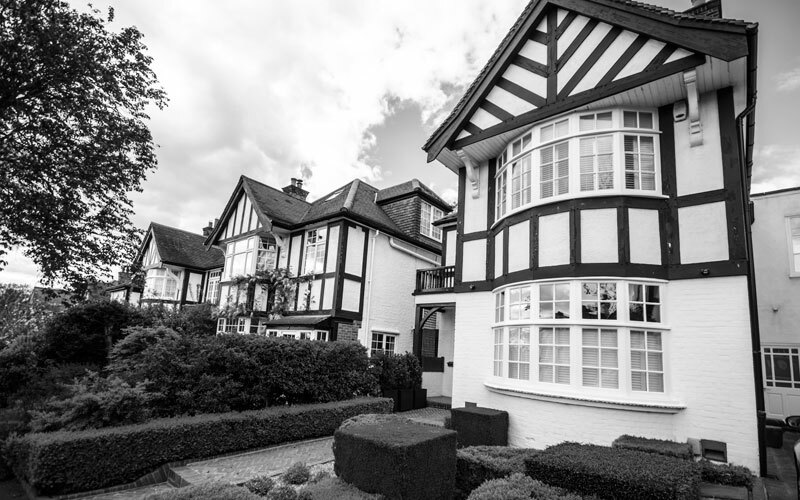 Traditionally property in England & Wales has been held under two types of tenure – ‘Freehold’ where the owner owns the ground and property in perpetuity and Leasehold where the owner has possession of the property but the land is held by a ‘Freeholder’ who charges rent on the lease. Property which is owned and is subject to a leasehold is normally held under leases lasting anywhere between 99 – 999 years, the lower figure being more common. Technically when the lease expires, ownership of the land and property reverts to the ‘Freeholder’. However legislation allows leasehold interests to be extended up to once for the same period, or in some cases purchased by the leaseholder. The home owner pays an annual ‘ground rent’ to the freeholder, and has to ask permission from the freeholder to make alterations or adjustments to the property, such as building a conservatory or changing the windows – often subject to a cost. What’s the problem with leaseholds? In the past, leasehold property owners were generally charged tiny ground rents, sometimes as little as £1 per year, and many freeholders didn’t bother to collect it. However, over the last century, property developers & investors purchasing large numbers of leaseholds began inserting clauses into leasehold contracts where the ground rents were set at anywhere between £200-£400 a year, doubling every ten years, meaning that the ground rents for leaseholders were soon spiralling to absurd levels. The Leasehold Knowledge Partnership, which vigorously campaigns on the issue, estimates that around 100,000 homebuyers are trapped in contracts with spiralling ground rents. With ground rents doubling every decade, this can often make leasehold properties impossible to sell. Many leaseholders find that lenders won’t grant mortgages against homes with ground rent clauses or with terms of less than 70 years remaining, and conveyancing solicitors warn prospective buyers from purchasing. Leaseholds homes that are saleable are sometimes offered at a huge discount, crippling the home owner. The cost of purchasing the lease has also hugely increased over the last decade from a few thousand pounds to five figures making it prohibitive in some cases. The UK government has proposed a ban on the future sale of houses on a leasehold basis, as well as cutting ground rents to zero. The government will also seek to close legal loopholes to protect consumers and prevent unfair agreements and spiralling ground rents, and the proposals include plans to change the rules of Help to Buy loans so that the scheme can be used to acquire new-build houses only where the terms are acceptable. Do the leasehold proposals impact me in Scotland? In Scotland, we historically had our own form of property tenure called ‘feuhold’. This was previously the most common form of land tenure in Scotland, as conveyancing in Scots law was dominated by feudalism. However, legislation passed by the Scottish parliament, including the Abolition of Feudal Tenure (Scotland) Act 2000, and the Tenements (Scotland) Act 2004, effectively brought feuhold to an end. Now nearly all property is held under a tenure known as ‘Outright or Absolute Ownership’, including apartments and tenements. This is comparable to ‘Freehold’. There is no leasehold law in Australasia, North America or continental Europe, and England and Wales remain the only jurisdiction in the world to retain leasehold property laws. The government proposals are subject to an eight-week consultation. If successful, the government will consider how far to cap existing ground rents and try to ban leaseholds altogether. Next Next post: Cryptocurrencies…. The future? ?